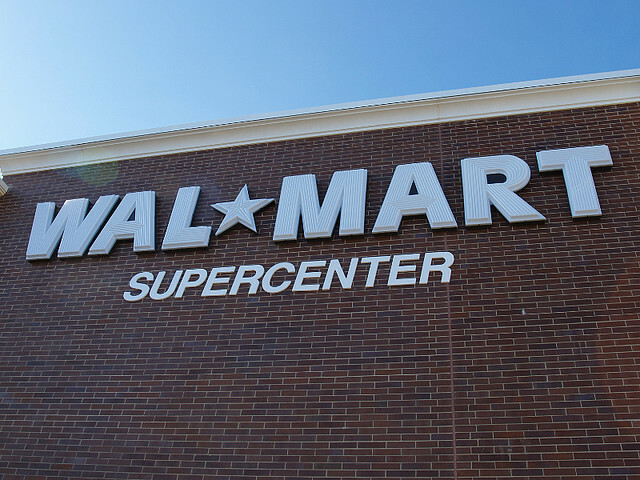 This spring, Walmart, the world’s largest retailer, announced plans to build a Supercenter east of the towns of Whitehall and Montague, just north of Muskegon. This would be the third Walmart within approximately 25 miles of Whitehall-Montague. As Walmart’s plans often do, this one has engendered protests. The White Lake Chamber of Commerce held an emergency meeting and voted 11-1 to oppose Walmart’s entry into the local market. Community members established a Facebook group for those similarly opposed. Walmart is often seen as a test of one's political bona fides. Progressives and liberals are supposed to hate it for its anti-union practices and low wages. Conservatives are supposed to love it as a triumph of the free market. While I’m convinced that there is no easy answer to the question of the low-price retail giant, I’d like to look at what I think is the conservative case for keeping Walmart out Whitehall-Montague. First, any conservative should recognize as legitimate and even laudable the efforts of those in the Whitehall-Montague area to debate, discuss and decide whether they want the store. Conservatives cannot simply pay lip service to decentralization. They should praise localism in action. There is no reason to check conservative distrust of big institutions at the door just because it’s a business. The Whitehall community can and, I think, should rightly honor local ownership over that of a global chain based hundreds of miles away in Arkansas. Furthermore, experience and studies demonstrate that often when Walmart moves into a community it hollows out a town’s business district, can lead to a net decrease in jobs, and often lowers wages overall for a community. While we can unduly romanticize local stores and businesses, conservatives should see a value in the locally rooted business person. These local stores grow up organically to serve the needs of the community and constitute part of the very fabric of the community. A conservative should be extremely skeptical and distrustful that lower prices are worth the pulverization of local businesses. Some will say that it is just business, but the whole point for the conservative is that life is about more than the bottom line. A conservative should be concerned about what Walmart might do to the downtowns of Whitehall and Montague, and what this will do to the civic fabric of those communities. Moreover, a concern about the loss of jobs and the depression of wages hardly seems to be a negligible conservative concern. Moreover, conservatives care about wasteful government spending, government subsidies and the burden these place on taxpayers. Well, there is evidence that Walmart’s low wages cost taxpayers in a variety of ways. Let's take just one. A recent study by House Democrats suggests that Walmart’s low wages are sustainable because many of Walmart’s employees avail themselves of public assistance. What we gain in lower costs may well be lost in tax expenditures in propping up the chain’s business model. He’s right. Whitehall and Montague are now quaint and beautiful. You cannot quantify the value of integrated, organic downtowns that are beautiful and walkable. There is nothing in the conservative playbook that says that economic efficiency needs to trump these things. Nor is beauty merely a privilege of the rich. We all deserve to be surrounded by beauty. Thus, if conservatives are being true to the permanent things, then these things should be privileged over the mere right to buy cheap goods. Conor Dugan mentions ‘free markets,’ local discussions, even invokes “…serve humanity’s best interests…” , but simply ignores what they mean. Does Conor really believe that a WalMart store coming to a Whitehall will change humanity? Does Conor understand ‘free markets’, which people will vote by where they buy and why they buy? Does Conor truly want an open discussion locally or is better to have it in Grand Rapids or Lansing where those talking are more sophisticated? Conor Dugan uses that bastion of ‘free market’ and conservative views the Democrat House report to make a point about the government support for those working at WalMart. I wonder if Conor even knows what the local compensation is at the local stores in Montague, what the career opportunities are in those local stores, and how they compare to WalMart. I wonder if Conor Dugan really cares about what and why people in the small towns where WaLMart started shop there. I wonder if Conor cares about the financial limits the people living in such small communities have and if shopping at WalMart will give them more value for their money. I wonder if Conor ever considered the added selection of items that WalMart will offer what the local stores offer and if that is something beneficial to local residence. The reality is if WalMart didn’t provide value to the local communities they would not survive. Your final sentence is incredibly naive. Peetah, If they aren't providing value to the local customers how do you feel they are staying in buisness in the small towns like Fremont, and multiple locations around Muskegon? Walmart has lower prices only until they drive local businesses out of existence. Once they are dominate, they raise their prices leaving the locals no alternative but to buy from them. Walmart is a bane on communities and should be stopped whenever possible. Karla, That is a logical point of view. It does raise a couple of questions; how is Fremont downtown surviving after several years of having a WalMart within a few blocks? Are there any case studies that verify that that has happened in Michigan in the past few/several years? This is excellent. Mr. Dugan is engaging in what the admirable Thomas Sowell characterized as third parties determining what is best for others. No doubt he values the "quaint and beautiful" downtowns of Whitehall and Montague, but does his aesthetic pleasure outweigh the benefits of lower prices for the local residents? Who is he to make that decision for them? And as for his assertion that "A recent study by House Democrats suggests that Walmart’s low wages are sustainable because many of Walmart’s employees avail themselves of public assistance." the problem is that those people receiving public assistance lack the skills and education to obtain beter jobs. In the absence of Walmat they would be even worse off, possibly working two jobs. Undoubtedly, capitalism has its rough edges, but its relentless drive toward efficiency has done far more to promote human welfare than any other approach. Suzan, Are you saying that WalMart builds and stocks a store in a small town only to so destroy the local economy that all their customers move away? IN those towns you visited, did you see an old WalMart store setting there empty due to lack of customers, or were there cars in the parking lot and people working in the WalMart? Walmart doesn't plan to destroy small town, they simply don't consider the effect of their actions. The fact that the local town is destroyed doesn't even enter their thought processes. A very good read to enable people to understand how Walmart operates is: Slam-Dunking Walmart by Al Norman. Well worth the read. Karla, I have done a search of the regional library network, LakeNet online card catalog, for both the title of the book and for the Author Al Norman and could not find either. Do you have a suggestion where might find the book? I do suspect that when WalMart builds a store, invests millions, that they plan for several years of operations to pay back that investment. If that is the case then I would be surprised if they didn't consider what might disrupt the community before that investment was payback. If I can remember right: Grand Rapids based Meijers Stores has done the same to my area of Michigan. When our grocery chains were trying to stay here, Who came in. And I might say with the help of city officials for tax breaks.